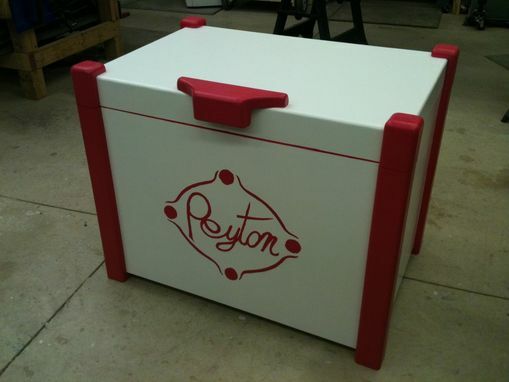 A personalized toy chest for the customer's niece at Christmas time and The Plane Edge delivered. 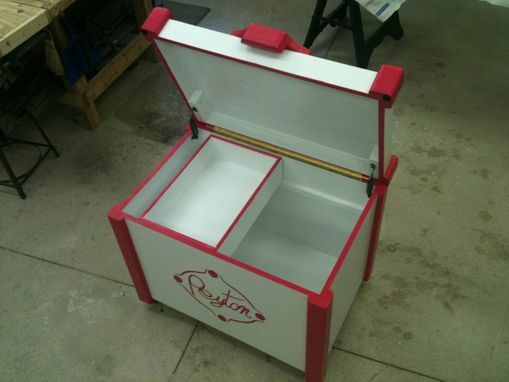 Made from 3/4" birch plywood, primed, and coated with semi-gloss white paint. 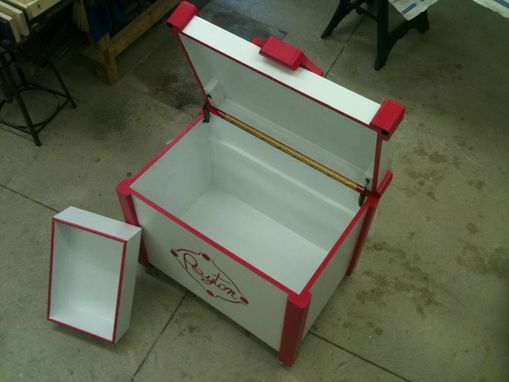 The toy chest was highlighted with pink, while the child's name was painted on the front. A removable sliding tray complements the toy chest. A pair of safety hinges support the lid so it doesn't accidentally fall. Heavy duty casters on the bottom of the toy chest allows the chest to be moved around easily. Dimensions: Approximately 24" deep x 26" tall x 36" long.